Pro Bowl 2019 has been confirmed to return to Orlando by NFL Senior Vice President of Events, Peter O’Reilly. Pro Bowl 2019 has set the date to play on January 27, 2019, for sure only a week before the spectacular Super Bowl 53 in the Mercedez-Benz Stadium, Atlanta, Georgia. Pro Bowl 2019 would provide the best NFL All-Stars game experience for fans across the country. NFL Stars will occupy both teams which will be contending on the Pro Bowl 2019. Let’s have a look at the Pro Bowl 2019 updates by far. Pro Bowl 2019 match will be televised on ESPN as well as ESPN Deportes, Disney XD and simulcasted by ABC. If you want to watch Pro Bowl 2019 then you should be connected to one of those networks. Millions of viewers would spectate the closing “ceremony” of the 2018 NFL Regular Season for sure. The official rosters of the Pro Bowl 2019 are still to be announced but it’s not too early to overview the suspects based on the star’s performances and popularities throughout 2018 NFL regular season. The voting actually involves the Coaches, Players, and of course fans. The suspected rosters for Pro Bowl 2019 include Rob “The Gronk” Gronkowski, Drew Brees, Tom Brady, Ben Roethlisberger, and many other star players. Even though the voting would end in the middle of this December, it’s almost certain that the roster announcement would be on January. There are two major voting events for Pro Bowl 2019 including through the web and Twitter. The online voting is available on the NFL.com/ProBowlVote which can be accessed with the desktop browser or mobile devices. This first type of Pro Bowl 2019 voting has been started on November 13, 2018, and ended on December 13, 2018. You can also vote through the Twitter by tweeting the official Twitter of the players, twitting or hashtag of player’s first and last name. For Pro Bowl 2019 via Twitter, it begins on November 29 until the end. Vote your favorite Roster now. The Pro Bowl 2019 would be a whole week festival which includes the NFL Pro Bowl Experience, NFL Flag Championship, Awards, Pro Bowl Showdown, NFC and AFC team practices, and so many more events for sure. Last announced schedule of the event is for Pro Bowl Experience which is the Football festival held in the ESPN Wide World of Sports and other mentioned events will be held on January 23-26, 2019. Your trip to Orlando would be the best football family vacation experience. The tickets and packages are already available on the authorized ticket boxes. If you’re interested to spectate Pro Bowl 2019 right from the Camping Camping World Stadium, then you need to secure your seat now. Tickets are already on sale in the fall while presale requires additional registration through the NFL official website. A good news for you who bought this year’s Pro Bowl in Orlando as you’ll be prioritized for the tickets. The most anticipated NFL match Pro Bowl 2019 has set date on January 2019. It’s only two months remaining to the Pro Bowl 2019 and you need a complete information about the details. Here are what you need to know so far about Pro Bowl 2019 including Date, Kick Off time, Location, TV Coverage. Pro Bowl is a traditional follower of the former cross-match NFL and AFC. Pro Bowl 2019 would be the NFL All-Star match-up. It would be the game of the best players of NFL season. Coaches, Players, and even NFL fans has voted for the consencus of Pro Bowl 2019 match. The classic touch has enhanced the euphoria of Pro Bowl 2019 across the country. Pro Bowl 2019 seem to be more competitive than this year’s Pro Bowl. The kick off of the Pro Bowl 2019 would be marking the end of the NFL Regular Season 2018. All through the year, we have some names of the stars who deserve the slots in the Pro Bowl 2019. 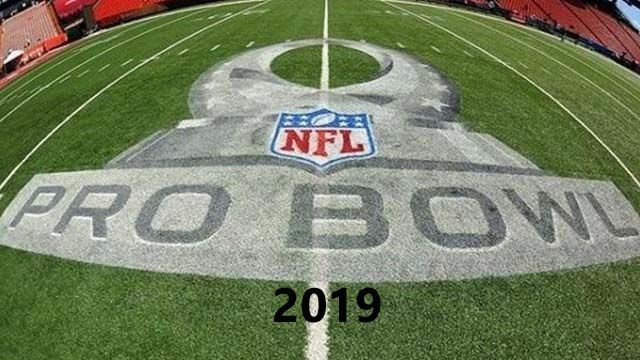 However, the Pro Bowl 2019 rosters are still being voted through the black box by the Players and Coaches while the Fans Voting is open until 29 December 2019. Stay tuned for more updates about the rosters. Pro Bowl 2019 has set date on Sunday, January 27, 2019. It’s only a week before the Super Bowl 53 which has set the date on February 3, 2019. Tickets are already available in the authorized ticketboxes. Some vendors also offer the packages which include the tour and accommodation. Following the votes ended on June 2018, NFL has chosen Orlando as the host of Pro Bowl 2019 for sure. It’s already confirmed that Pro Bowl 2019 will kick off at the Camping World Stadium, Orlando, Florida. It’s an interesting decision of the NFL to hold the Pro Bowl 2019 in the same location with Pro Bowl 2018. It seems that the former Pro Bowl pilgrims would make a comeback to Orlando two months from now. Pro Bowl 2019 has been set to kick off at 8:00 PM Eastern Time(ET) or 12:00 PM Pacific Time(PT). Note the kick off time and make a reminder if you don’t want to miss the Pro Bowl broadcast. It’s also already confirmed that Pro Bowl 2019 would be covered by ESPN networks. If you want to watch Pro Bowl 2019 from your TV Screen, ESPN is the only by far. 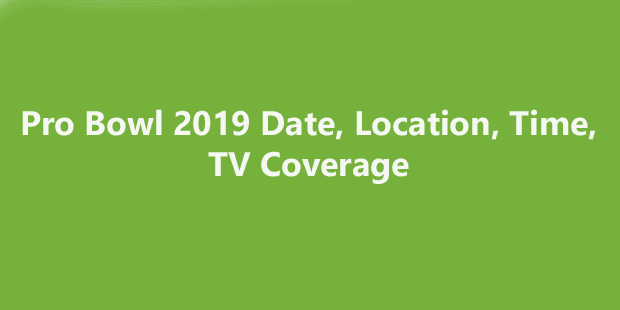 You may also watch Pro Bowl 2019 live stream through your devices or consoles. As the previous Pro Bowl matches, Pro Bowl 2019 will attracts millions of viewers around the world. It’s also covered by ESPN Deportes and ABC simulcast. Ensure that you’ve connected to the network before the kick off time. Pro Bowl 2019 has been confirmed to kick off at 8:00 ET on January 27, 2019, in the Camping World Stadium, Orlando. ESPN will live broadcast Pro Bowl 2019 through its network. The rosters of Pro Bowl 2019 would be announced soon as the votes ended.